Do you want to steal our beer? No need for subterfuge, we publish all our recipes online. We believe that open recipes will only inspire growth and collaboration in the brewing community. Clearing time taken to duplicate tasks; use energy to improving code instead of reinventing the wheel. “Free software” means software that respects users’ freedom and community. Roughly, it means that the users have the freedom to run, copy, distribute, study, change and improve the software. Thus, “free software” is a matter of liberty, not price. To understand the concept, you should think of “free” as in “free speech,” not as in “free beer”. We sometimes call it “libre software,” borrowing the French or Spanish word for “free” as in freedom, to show we do not mean the software is gratis. How has the GNU licensed been implied to the Food and Beverage Industry? In 2001, OpenCola released their open source version of the Coca Cola recipe under the GNU license. Many others have since released other open source recipes from gummy bears, medicine and entire food systems. Open Source Beer first made a splash in 2004 by university students at Copenhagen, and their efforts have been continued to this day at FreeBeer.org. Going beyond the actual GNU license, just do a simple search on recipe clones, and you’ll find 1000’s of recipes from wine, junk food, specialised variations of popular food brands that are gluten free, vegan or made without artificial ingredients. 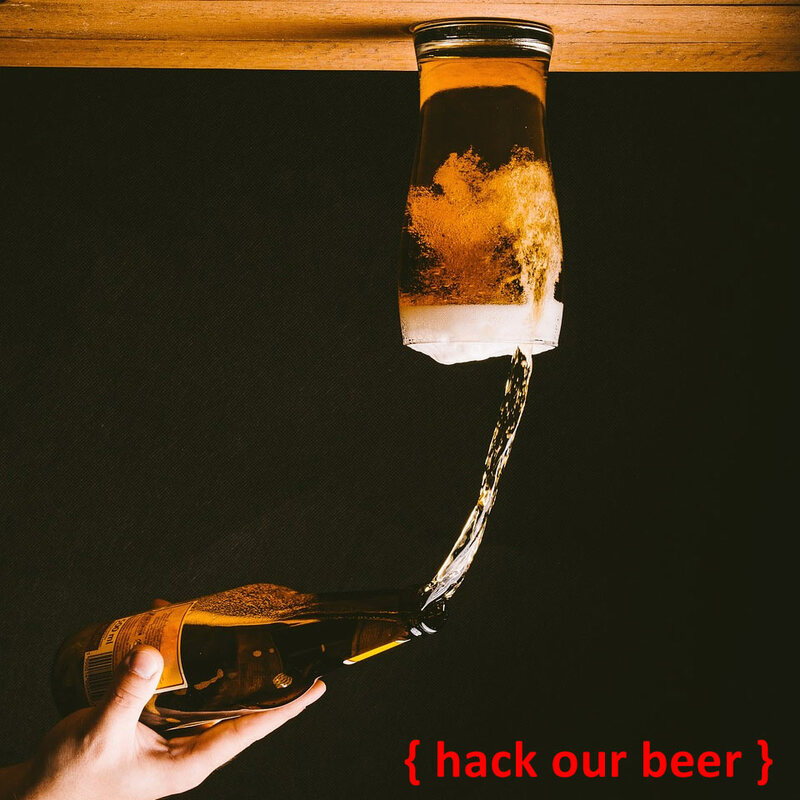 Beersmith, a popular beer recipe sharing site, lists over 4000 submitted recipes as ‘clones’. But what do corporations do about recipe hacking? Coca Cola, KFC, Krispy Creme, Hersey’s, Heinz 57 – all big name food corporations that are seriously hush-hush on their secret recipes. Turns out, these trade secrets are little more than clever marketing strategy. Consider that people have been mixing together ingredients to produce different food products since the dawn of humanity-in fact, some of the earliest known examples of written language are food recipes. These days, most “new” recipes are merely combinations of known ingredients in varying amounts, separate discoveries of preexisting recipes, or variations on known recipes. Even if a previous version of a recipe cannot be found, a “new” recipe could still be considered obvious. For instance, Cola Cola does not have a patent on its recipe. However, it does have trade secrets. A trade secret is a type of intellectual property which protects confidential business information that give the company a competitive edge. With trade secrets, inventors do not disclose their formulas, practices or processes; employees and contractors have to sign a Non-Disclosure Agreement to prevent sharing of the recipe. Because of the classified nature of the trade secret, the company can use it as a marketing ploy. In short, if you worked for the company with a trade secret and released a similar product, or shared their ‘secret herbs and spices’ with someone else, the corporate overlords will get you. However, if you are not associated with the company, and independently reversed engineered the recipe, chances are it would be very difficult to prosecute. On the other hand, while ‘hackers’ may look to recipes to emulate a products taste, there might be a more sinister reason that some corporations hide their ‘herbs and spices’ . In 2004, a study was performed on consumer goods and found more than 50% of products tested had unlisted toxic chemicals. Some hid behind seemingly innocuous terms such as ‘natural’ or even ‘inert’. Twinkies, Oreo Cookies, Kentucky Fried Chicken – these corporate recipes were all hacked well before the dawn of the internet and even the open source revolution! 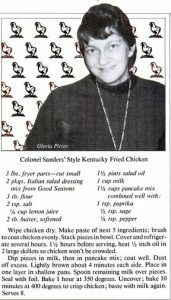 During the 1970’s, homemaker and columnist Gloria Pitzer was known as the Recipe Detective. According to her book, she was tired about writing ‘monotonous meatloaf’ but her editors warned her not to upset their advertisers. In a bold move, she decided to pursue her own recipe publishing career that broke down recipes for famous foods in the USA. Her own husband quit his executive role so he could help with her cook books, of which more than 26 have been published. Though she is now retired, she’s left an impressive legacy for modern food hackers! You’ve worked over 15 years in the Food and Beverage industry, have you ever seen any controversy around recipes, or the distribution of recipes? There’s been some interesting stories around the make up of wines in NZ, where a producer was caught doctoring their entries for an award. Rather than recipes, this would involve the blending or make up from different vineyards of a wine. In this case the whole story didn’t kill the brand, but it did affect sales for a little bit. The winemaker responsible for this actually sold his brand Wither Hills to Lion Nathan for a good amount of money, and despite having a mark on his reputation is now successfully leading with The Ned/Marisco vineyards. Coincidentally, I ended up making his bulk Sauvignon Blanc for The Ned brand during my last vintage with Pernod Ricard. There’s some saucy stories involving wine scandals in NZ, but many more worldwide – like this particular story involving fraudulent wine made by Chateau Giscours. Under new ownership this winemaker completely turned around and started making world-class wines. I was fortunate enough to start my winemaking career with a job at this Chateau straight out of uni. You get a secret delivery of the best beer you ever had in your life – but they took the labels off. How would you figure out how to brew it? You would taste the beers first. Carefully, repeatedly focusing your attention on how the distinct characters develop and where they might come from. Which ingredients may be underlying these aromas, flavors, textures. Are they coming from the malt? The hops or the yeast? What’s the water used like? Are there any adjuncts involved, any special fermentation or processing techniques? Often it seems like detective work, but understanding different products and how to get there has helped me bring life to some of our more complex and challenging concoctions, such as our Wunderkammer. What are some of the tools of the trade for reverse engineering a recipe? Generally tasting and trying to reconstruct the components of a beverage with your knowledge is a good start. If you want to understand any given product further, HPLC [High Performance Liquid Chromatography] will reveal what its make up is, and gas chromatography will reveal compounds imperceptible to your senses. Are there any styles more difficult than others to reverse engineer? Are there any ingredients you wouldn’t work with? If not, how would you substitute them? Generally, rather than putting a certain ingredient into a beer, what you want to do is recreate a certain impression of flavors, aromas or textures in a beer. This doesn’t always involve adding the ingredient as such, but something that will give you the impression of that ingredient. You can’t add bacon to a beer, not only because it would make the beer non-vegan, but also the oils from the bacon would absolutely kill the head/foam of the beer. Thus, adding smoked malts or a tincture made to capture the flavor would give you the impression of bacon without having to add bacon! You’ve put your recipes online, what if Carlsberg or another industrial brewer takes the recipe to take a new beer to the market? Would it make any difference if another small brewery in New Zealand did the same? Not at all. I don’t think that recipes represent anything really. Bigger companies like to add a bit of mystery around what they do, but only because there isn’t much to it really! They give customers a false idea that only they are capable of doing something. This is false, and sharing knowledge is one way to decentralizing know how but also empowers everyone to make things. On the other hand, the essence and soul of what and who we are, and what we will come up with next, is impossible to share in a recipe. About Carlos: With a background in food science and 15 years of international winemaking, Carlos brings knowledge and passion for all things related to flavor, food and booze. Carlos thinks that by relying on the knowledge of manufacturers for their food and beverage, people’s choices around what they eat and drink are a political act. He co-founded Outlier Cartel 2 years ago, and is now making beverages for uncommon thirsts. Drink indie!